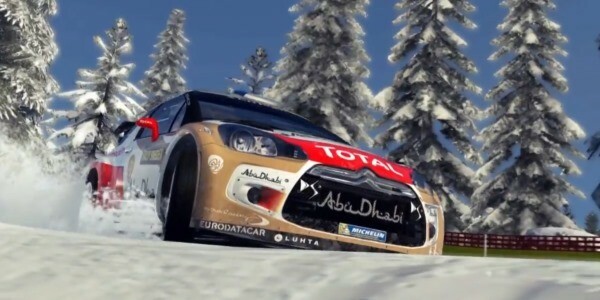 Publisher: Bigben Interactive, Square Enix Co.
As part of our Gamescom coverage on WRC 4, Alan spoke with Game Director Sébastien Pellicano to find out more about the improvements we can expect from the fourth installment of WRC. While still on the subject of realism, WRC 4's physics have been rewritten according to Sebastian, allowing for a greater degree of realism than before, and the developers have worked closely with the WRC teams tod deliver a new advanced suspension system. One of WRC 3's drawbacks was the repetition of special stages. Thanks to fan feedback, it seems that Milestone have taken the time to address this issue, as Sebastian revealed that the special stages will be unique and will not repeat during the rallies. Speaking of fan feedback, another common criticism was the lackluster car engine sounds. In WRC 4, Sebastian informed us that the engine sounds have been rerecorded from different sources, and will be drastically improved as a result – you can hear a sample of WRC 4's new audio in our first hands-on. Completing their aspiration for total realism, WRC 4 will be fully compatible with almost all wheels on the market, and will finally support H gear box setups and 900 degree steering.